Recently, the security situation in Libya has been changed greatly, so the safety of SBM engineer has been the biggest concern of SBM employees .The day before yesterday, good news came that with the orderly improvement of the Chinese government’s evacuation plan, SBM engineers Liu had safely evacuated of the territory of Libya into Tunisia, and will soon be back to the china. Libya is one of the SBM major markets in North Africa, in recent years, we cooperated frequently in infrastructure construction projects, and SBM also sent permanent engineers to install in Libya. After Libyan unrest, the company at the first place reaches the connection with installation engineers Mr. Liu, at the same time the chairman declared that the company will do everything to help him leave, and make the person responsible for the safe return of him. After the break of the cell phone signal, Liu used wireless card to keep in touch with the company, "We watched him 24 hours is displayed as on-line state, make sure he is safe", several colleagues still haunt that sleepless nights. At the same time, the Chinese government is waging an unprecedented scale of national rescue operations; China has the largest evacuation of personnel actions are out of Libya in order. 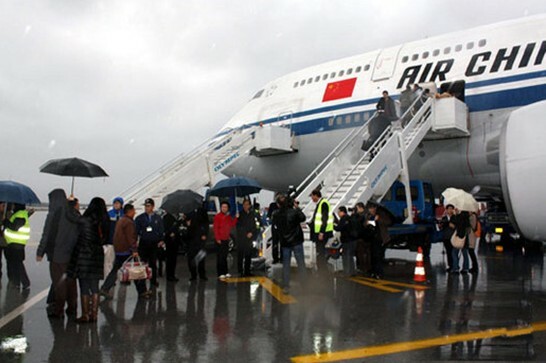 Up till now, owing to the government's swift action and effective diplomacy, more than twenty thousand Chinese citizens safely evacuated Libya, which includes SBM engineers Liu. After reaching Tunisia, Liu sent a message back, hanging heart of the company’s colleagues were able to put down, and immediately notify the good new to his family in China. “This time our engineers had been rescued by the government at the first time, which shows the government’s great care and concern of Chinese enterprises and overseas citizens. I sincerely appreciate our government and relevant departments”, said by Shanghai SBM Chairman after knowing the evacuation of Mr. Liu. He also expressed that as an enterprise, the only way to pay thanks to the Government is to effectively fulfill social responsibility, to create high-quality machinery and equipment, and create wealth for the country and the society.